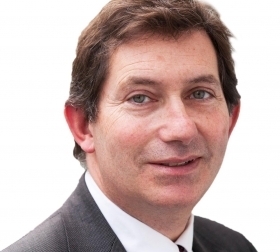 UNSW chancellor David Gonski has announced the appointment of eminent UK academic, Professor Ian Jacobs, as incoming President and Vice-Chancellor of the University. He will succeed Fred Hilmer, who is stepping down after eight years in the role. Professor Jacobs, who will take up the position on 1 February 2015, is currently Vice-President and Dean of the Faculty of Medical and Human Sciences at the University of Manchester and Director of the Manchester Academic Health Science (Centre MAHSC). Professor Jacobs is a leading researcher in the area of women’s health and cancer who in the last decade has moved into increasingly senior leadership positions, initially at University College London, where he created and led the Institute for Women’s Health, was Research Director of UCL Partners and then Dean of the Faculty of Biomedical Sciences. He was appointed to his current position as Vice President and Dean at the University of Manchester in 2011, when he also became Director of MAHSC, a partnership linking the University with six healthcare organisations involving over 36,000 staff. Professor Jacobs has a significant record as a strategic leader, with more than a decade of leadership experience gained at two of the world’s elite research intensive universities. He also has an international reputation as a world class researcher. Professor Jacobs’ appointment was the result of a global recruitment process over many months.